We realize our local business owners are busy, and sometimes that means you can't get out of your office to attend Chamber events. With that in mind, we've created this online video library. Now you can access Chamber resources whenever and wherever it's convenient for you. Don't see the type of training you're looking for? Let us know. We're constantly working on adding new content to be sure we can connect you with everything you need to be successful. 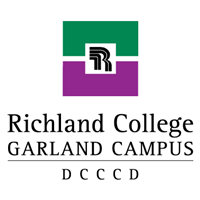 Each month, the Garland Chamber's newsletter features a video with some easy-to-implement tips on business-relevant topics, and you can always find them right here on the Chamber website. Getting Social: Once you've attended a networking event and completed all your follow-up meetings, what happens next? 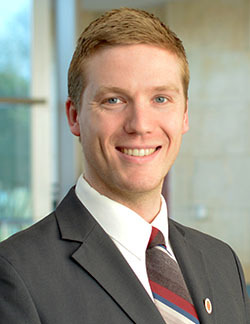 Learn best practices for using social media to maintain your professional network from the Garland Chamber's resident networking expert, Alexander Helgar. Following Up: You've attended a networking event and now you have a pocket full of business cards. Too many people think networking ends here, but there's a very important next step! Alexander Helgar shares his tips on how and when to follow up with your newest connections. Crafting Your Elevator Pitch: Can you clearly articulate what you do, and why people should care? Crafting an effective elevator pitch is critical to mastering networking. Check out Alexander Helgar's 4 simple steps to creating one that works for you. Preparing for an Event: Did you know Garland Chamber members can request an attendee list in advance of Chamber networking events? In February, Alexander Helgar shared some of his best tips on what you can do before you ever arrive at a networking event, including why it matters to know who you'll be meeting when you walk in the door. Watch the video to learn more! Defining Your Prospect: To kick off the year, our resident networking expert, Alexander Helgar, began his "Mastering Networking" series with some great information on how to define your prospect and lay the foundation for successful business-building conversations. Artificial Intelligence is any device that perceives its environment and takes actions that increase the probability of success at some goal. A common example would be to use a map application on your phone to find a place to grab a quick sandwich. Click on your browser and type in “sandwich shop near me” and you will receive a list based on the location of you and your device. Chamber member eComchain produced a video to show you how you can increase online sales by 30 percent using the power of Artificial Intelligence. Watch the video to find out how! As a small business owner, we're sure you have a lot on your plate. Extra time can be hard to come by, especially when it comes to creating and executing a marketing strategy. In this training video, ActionCOACH Sean Schoenmakers, in partnership with the Garland Chamber of Commerce, presents helpful tips and new ideas for local small business owners to maximize their time and improve their marketing efforts. As you develop the marketing mix for your business, social media will likely play a significant role in how you engage with your customers and build your audience. Though online social interaction is nothing new, it is constantly evolving, and to maximize your time on any social platform, education is critical to success. Check out this great, two-part workshop, "Getting Started with Facebook for Business," provided by Big Hit Creative Group. Efficient accounting practices are essential to the success of any business. Many tools are available to help keep small business owners on track, but it's easy to get overwhelmed if you don't understand the basics. This training video, provided by AFairchild, P.C., gives a brief overview of how QuickBooks can help you keep up with how your business is doing and make any necessary adjustments regarding revenue and expenses. If you're looking for robust, relevant resources to help your local business grow and be successful, let's talk about how getting involved with the Garland Chamber can help you achieve your goals.